We can no longer ignore the Health and Safety issues that plague some courts in and around Johannesburg especially the High Court. The fatal fire yesterday in the Johannesburg CBD, at 37 Sauer Street, Johannesburg, a government building which is shared by the Departments of Health, Human Settlements and Cooperative Governance, has raised the concern that the state of disrepair and lack of maintenance in the various Court buildings across the City may have the same tragic results in other government buildings if the situation continues unabated. Proxi Smart Services (Pty) Limited (Proxi Smart) has proposed a business model to render certain conveyancing-related services which are presently performed by conveyancers - who are regulated by the statutory provincial law societies. 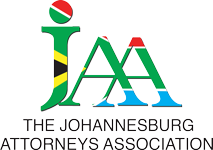 Candidate Attorneys can join the JAA for free, with all the services and assistance available to admitted attorneys. Like our social media pages for regular updates on the Johannesburg legal scene and legal news throughout the country. The JAA website has recently been upgraded, only registered JAA members will have full access to all content on the website. Already a JAA member? Click Here to set your password.